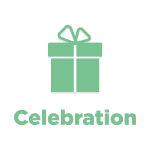 If you would like to offer recognition gifts that employees really appreciate without having to shop for hours, offer Celebration: choose your gifts online! Increase recipient satisfaction and your own peace of mind. We take care of everything! Personalized access codes to choose gifts within established budgets. Support for recipients before and after gift delivery. Gift-wrapping service with greeting card and more for all your needs. 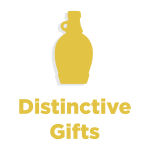 If you would like to offer a range of personalized gifts specific to your business, try something different and opt for our selection of distinctive gifts. A selection of gifts reflecting your company’s image. A choice of exclusive, original and custom-made products.